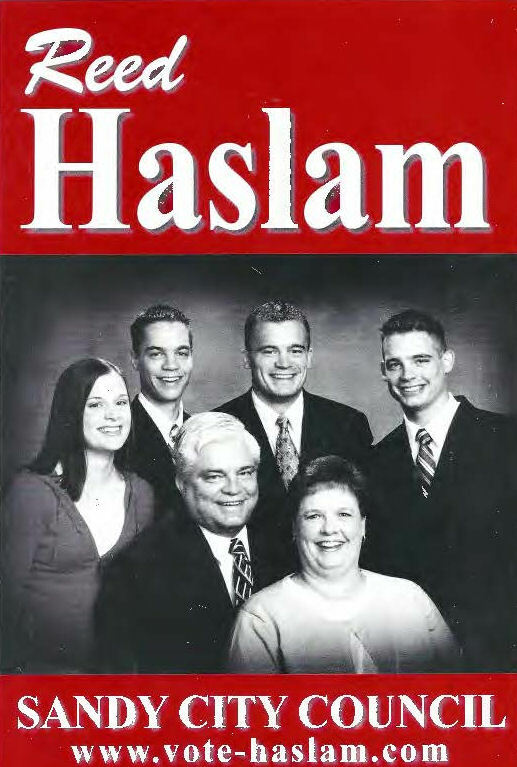 December 13, 2007 - Christmas Greetings from theHaslams. 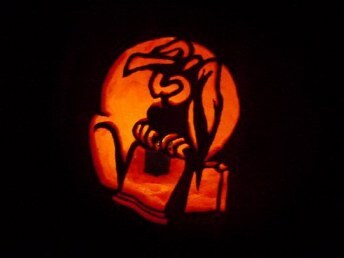 October 31, 2007 - Jack O'Lanterns 2007 - Carved this year from our own giant pumpkins. Reed spent several hours each Saturday, walking Sandy's second district, knocking doors and talking with residents of the district. 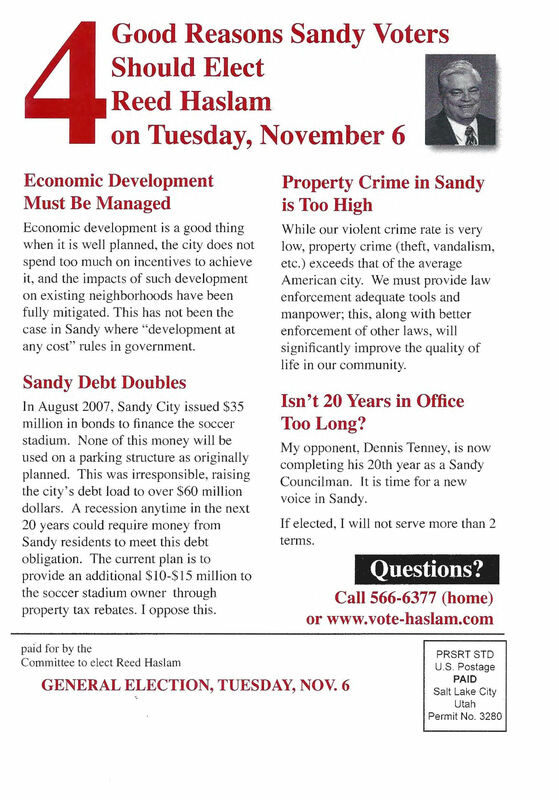 He spent $1K of his onw money of the mailer that appears below. 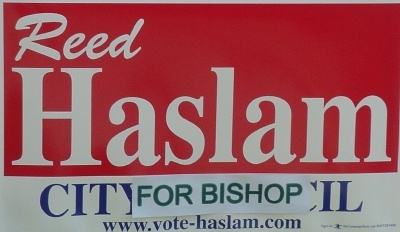 The Midvalley 5th Ward recently got a new bishop. I am grateful that I was not called upon to fill that role. Someone in the neighborhood however decided to modify one of my campaign signs. It is always nice to be thought of. 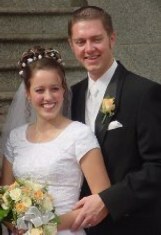 Amanda Westberg daughter of Sherry's youngest sibling Les Westberg married Brent P. Randall in the Salt Lake Temple. 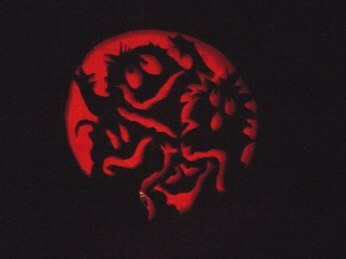 Both are students at Utah State University. A few members of the Midvalley 5th Ward took an early morning hike to Ensign Peak, just north of downtown Salt Lake City. Downtown Salt Lake City from Ensign Peak. 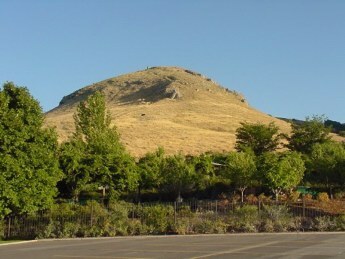 Brigham Young and others climbed the peak on July 26, 1847. 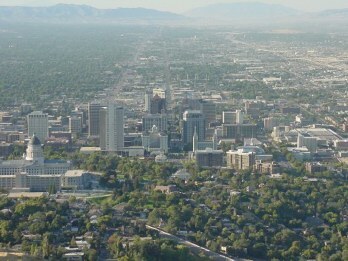 The Salt Lake Temple is just to the right of center. The state capitol is on the far left. 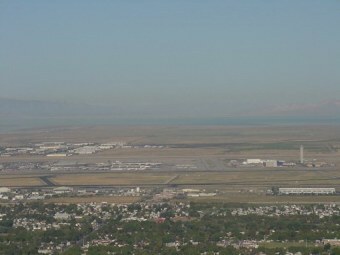 The Salt Lake Airport and the Great Salt Lake are directly west of Ensign Peak. 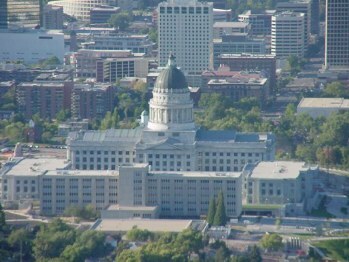 The Utah State Capitol building below Ensign Peak is nearing completion of a multiyear renovation and earthquake stabilization project. July 16, 2007 - Reed declares his candidacy for Sandy City Council in the 2nd district. His opponent has been elected in each of the last five elections in the district (that means he has served for nearly 20 years). May 4, 2007 - Angela completes her 2nd year at Utah State University and Jared completes his 2nd year at Salt Lake Community College. April 17, 2007 - Elder Michael Haslam is assigned as a zone leader in the Davis/Woodland zone of the California Santa Rosa mission. March 5, 2007 - Elder Michael Haslam is assigned as the trainer of a new missionary. January 5, 2007 - Elder Michael Haslam is "Emergency Transferred"